Early one morning in West Berlin, a nervous courier delivers the handwritten manuscript of a dissident Russian novel to Paul Christopher. Minutes after the handoff, the courier's spine is neatly snapped by an impact with a passing black sedan. Meanwhile, in Rome, Christopher's wife Cathy takes a famous film director as a lover to stir her husband out of the stoicism that defines his personality. These two seemingly discreet events set in motion a spiral of operational and personal intrigue, leading Christopher from the cafés of old Europe to the front lines of the Cold War in the Congo. As he secretly arranges the publication of a novel that could bring the Soviet system to its knees, he races to identify the leak that compromised his messenger—and possibly the entire mission. Since his reemergence with the publication of Old Boys, Charles McCarry has been once again heralded as one of the select few espionage novelists who manages to break out of his genre to shine as a brilliant novelist in his own right. 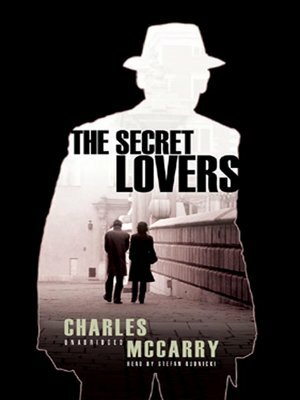 The Secret Lovers is McCarry at his best: an exploration of the epic scope of "the great game," but also a riveting psychological portrait of a man ensnared by a profession that never failed to exert its insidious influence outside the professional boundaries—and that, like the facade of diplomacy that outwardly held the Cold War in check, could never contain its violent essence.